Despite what the calendar may say, Summer has certainly arrived. And with it, the opportunity for that quintessential feature of summer entertainment - The Barbeque. Or the patio party, camping trip, pool party, backyard bash – whichever your gathering may be, CADL Digital Downloads can help you make the most of your fun in the sun. The first thing I think about when planning any sort of gathering, is food. Probably because other people like to eat and definitely because I like to eat. 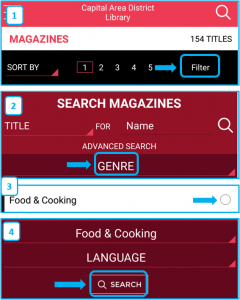 RBdigital has several foodie magazines that offer anything from quick hacks to pro tips and lots of recipes in between. 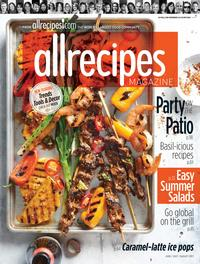 AllRecipes – I use this website a lot already, but it’s nice to have the put-together feel of a magazine, and have the curated collection of recipes and tips that each issue offers. There are so many recipes on AllRecipes.com so seeing a sampling like this is fun and gives me great new ideas! The current issue is still Spring (although it has a focus on fresh veggies, so good to read still! ), but June 2017 is all about “Patio Parties”. Cook’s Illustrated – The style of this magazine is so neat! The information contained within its pages is wonderful, but it’s fun to look at, too. Also, their motto, “We make the mistakes so you don't have to" resonates with me as someone who (despite having cooked for herself for quite a long time now) is not always that confident trying new recipes. Cooking is a process. Right? 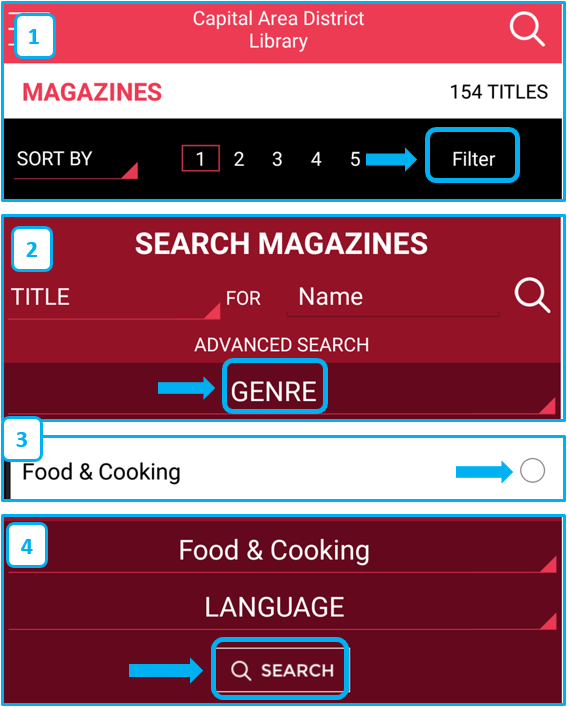 If you want to check out the range of food and drink related magazines we have through RBdigital, at the top of the service’s page, you can sort by genre – Food & Cooking. So you’ve got your food all set – don’t forget the music! Hoopla offers a wide variety of music albums that you can stream or download to a mobile device. Personally, for parties, I’m all about that 80s Mixtape, but there are thousands of titles – the world is your musical oyster! Or at least, hoopla is. You can learn more about music from hoopla on our Getting Started page. I wish you all the fun of Summer and some very pleasant parties!